Daniel Evans of www.smeweb.com took time out to speak to Carole Burman, MD about how MAD-HR is making a difference to businesses. Q: Carole, businesses can only succeed in today’s competitive marketplace by recruiting and retaining talented individuals. What are the main challenges businesses face in attracting these people? As it is currently a candidate driven market, it is vital that employers are aware of what makes their candidates tick. The potential for development and progression ranks highly amongst many candidates, however many employers still believe that salary and benefits rank more highly on the ‘desirable’ list. An efficient, robust recruitment process which engages candidates throughout is also very attractive to talented candidates. If employers move too slowly or ‘change the goal posts’ throughout this stage, good candidates will go elsewhere. Employers also need to be able to clearly communicate where and how the individual add value to the goals of the business; individuals need a clear purpose, something to aim for and to feel valued as part of the process. Some employers are able to ‘sell the dream’ to candidates, however delivering this once the individual has joined the organisation is another matter. It is not just about attracting great talent, the challenge is to keep them! Q: How has technology changed the HR industry over the last five years? One part of HR that has been most impacted by technology is recruitment. Gone are the days when applicants search for jobs in the local newspaper or on noticeboards. It’s all about social media platforms (such as LinkedIn) or job boards – recruiters can be much more targeted in seeking out suitable applicants for their roles now. In larger organisations, applications are now often sifted by a computer programme using keyword searches. Those halcyon days when you used to sit at a desk / dining room table as an applicant to complete an application form making sure it was in your best handwriting have gone – people can literally apply for jobs anywhere and at any time using mobile devices. Training and development has also hugely benefitted from technological advancement. Entire management teams no longer have to activate their out of office for a day’s training, leaving businesses devoid of leadership. 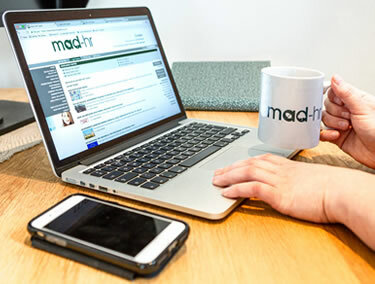 MAD-HR believes there is still a place for face to face training, however businesses are demanding a more flexible, cost effective and time effective approach, which is why we are embracing technology and developing our online training product range as well as our online toolkit, providing managers with all the documentation they need to manage their people, at the touch of a button. Historically, HR is renowned for its use of paper and documentation, however technology means that data can be stored and retrieved electronically, improving security, reducing cost, storage space and allowing for simplification. Performance Management has also been greatly enhanced as computer technology can be used to assess employee performance against key metrics to ensure they are meeting standards, in addition to gaining feedback to facilitate business improvement. Q: What does a company need to do to attract millennials? Have a strong online presence as potential employees will research you. Current employee blogs/experiences are a good way to attract potential employees and manage candidate expectations. Be creative with your job advertising, social media can now help you find the right candidate. Attitude and enthusiasm for the role are more essential than grades. Millennials are likely to leave if the job is not what they thought. Make sure you manage expectations. Adopt a positive attitude to flexible working. Work life balance is high up on the list of priorities to millennials, so if businesses are to attract this group, flexible work schedules, places of work and methods of working are key. Millennials are about ‘the feeling’, they need a strong sense of purpose, they value a team, they need to feel supported, valued and respected and they need to feel that there is potential for them to grow and develop. Millennials have grown up with technology, which has fostered a culture of transparency. Employers who are up front and open are more likely retain engaged, committed workers through fostering a sense of trust and community. Innovation is really important and creating an environment where millennials can work and think differently is a really attractive offer. 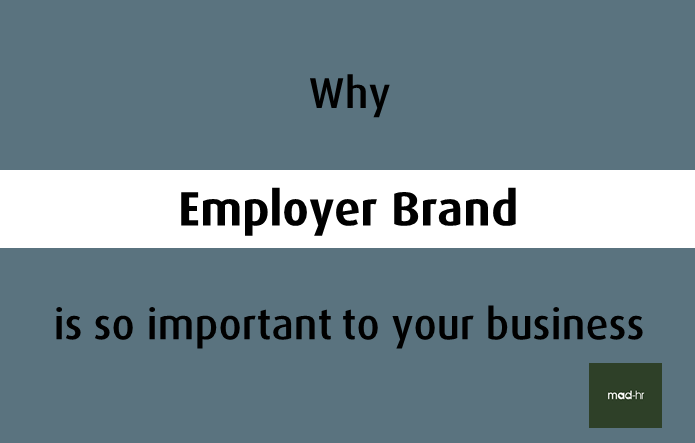 Your employer brand needs to reflect all of these things and demonstrate to candidates that you can provide a culture and working environment that embraces all of these factors. Q: What underlines your approach at MAD-HR? What are you like to work with? The MAD team are a friendly bunch, experts in our field and we really care about making a positive difference to our clients. We are regarded as ‘one of the team’ by our clients as we specialise in quality, commercial advice and support blended with a friendly, down to earth, positive approach. Q: How have you been helped to get to where you are today? I am not just mentioning my parents because they brought me into this world but when I was a kid they ran their own pub and so this taught me a lot about business. They were very successful and loved by their customers but being publicans was not an easy life – it was in fact very hard. This taught me the value of success and that it is not something that comes easy – you really do need to put in the effort. When I finished university I was very green but I was spotted by a really inspiring HR Manager who took a risk in hiring me as her deputy. She mentored me and supported my development as a commercial HR Professional. When I used to ask her how to deal with a problem she would never tell me what to do instead she used her great coaching skills to get me to come up with a solution to the problem. This gave me a lot of confidence and self-belief and something that I have used with my own teams over the years. This has also helped in the work that I now do with CEO’s, Boards and Senior Managers. In my career, I have never been seen as just the HR Director – it is always critical that you understand the business first and foremost as this shapes the work that you do in HR. I’m really lucky that our clients really appreciate our business acumen and commerciality as they have often commented that this is such a rare trait in HR professionals. This fills me with a real sense of pride as this is the key principle on which MAD-HR was founded on. Q: Where would you like your business to be in five years’ time? To be recognised as the premier outsourced HR provider in East Anglia by delivering quality HR products and services that make a positive difference to our client’s bottom line.